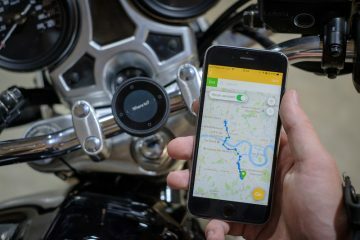 If you’re a biker you have a far higher chance of damaging your hearing and joining the 11 million people in the UK with some form of hearing loss. 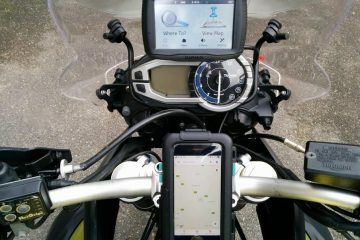 I was chatting with the girls from LadyBiker.co.uk at a motorcycle trade show recently when, a bit randomly, Daisy mentioned that she used to be an Audiologist and that she was keen on bikers understanding the damage wind noise can cause. Bit spooky the next day then when out of the blue I come across a rather frightening statistic. 1-in-6 Britons have some form of hearing loss. Over 6m people in the UK have tinnitus. Me included. It’s not pleasant, I have to tell you. Mine takes the form of a constant, extremely high-pitched tone – like the sound a faulty monitor or TV makes when it’s on the way out. It means I avoid silence as much as I can. At home, I have to have a radio or TV or music on all the time, otherwise, I’ll get a constant reminder. Mine wasn’t caused by riding without earplugs, but by listening to ACDC through earphones. Serves me right, you might be thinking, but from what Daisy tells me, wind noise can be equally as effective at damaging your hearing. And before we go any further, just to stress how important this is, tinnitus is irreversible. There is currently no known cure. But if you act now, at least you are reducing the risk of it happening to you. Another thing I didn’t realise is that high levels of wind noise can cause fatigue. “It’s tiring without you knowing it,” said Daisy. I use those cheap spongy earplugs that come in packs of 30 pairs for around £10. “They’ll work and they are better than nothing at all but they can be a bit uncomfortable on long rides,” says Daisy. That’s true. You can also get speakers built into custom-moulded earplugs too, so that you can listen to music or use a two-way comms system in comfort. Just don’t set the volume too high. Another thing to consider is the fit of your helmet. The basic spongy earplugs can move around and even work loose – especially when you are putting your lid on. Countless times I’ve found one side starting to become noise because a plug has moved. 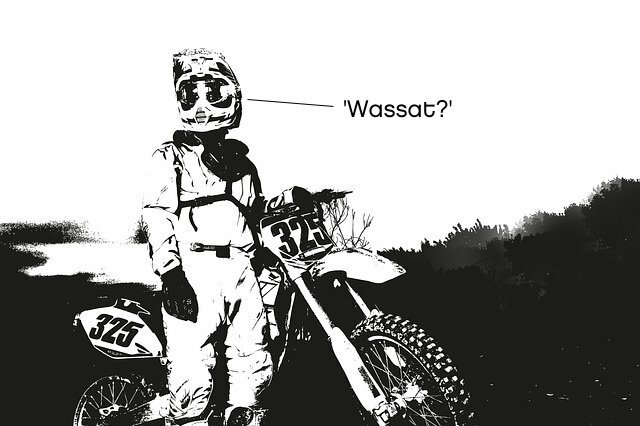 So as well as earplugs, make sure you have a properly fitting helmet that offers as little wind ingress as possible. You can read our guide to helmet fitting here. See an audiologist about getting proper earplugs made. A huge thanks for the heads up to Daisy Bell. 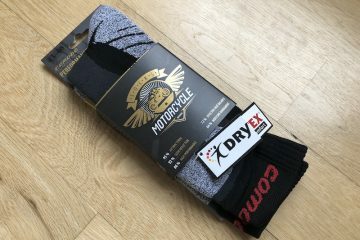 If you are a female rider or have one in your life, it’s worth contacting Daisy and her team at www.ladybiker.co.uk next time you/they need some new kit – these people know what they’re talking about when it comes to ladies bike clothing.